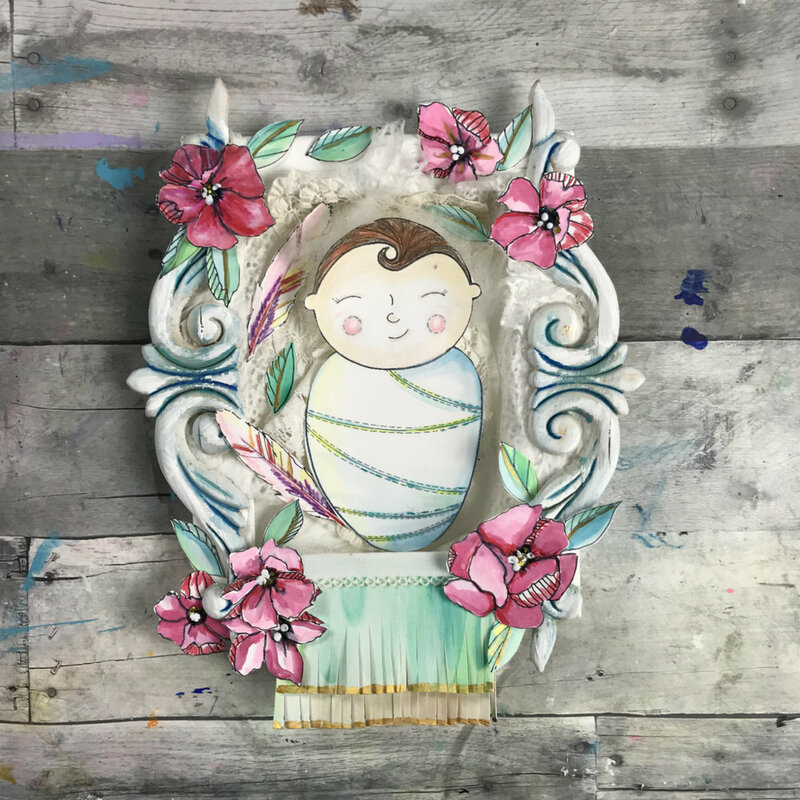 This altered canvas, based on the book, A Nest for the Savior, by Didi Zayas, is the perfect family activity for the upcoming advent season! 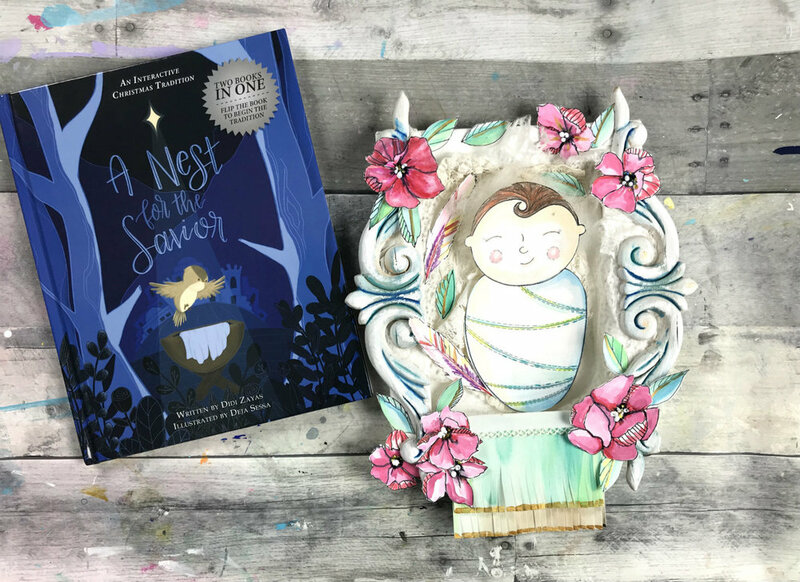 This beautifully illustrated book tells the story of Sadie the Sparrow, who discovers the empty manger and decides to build a nest for Baby Jesus. She and her friends gather meaningful contributions to be used as nesting materials, and Sadie crafts a special nest for the Savior’s head. 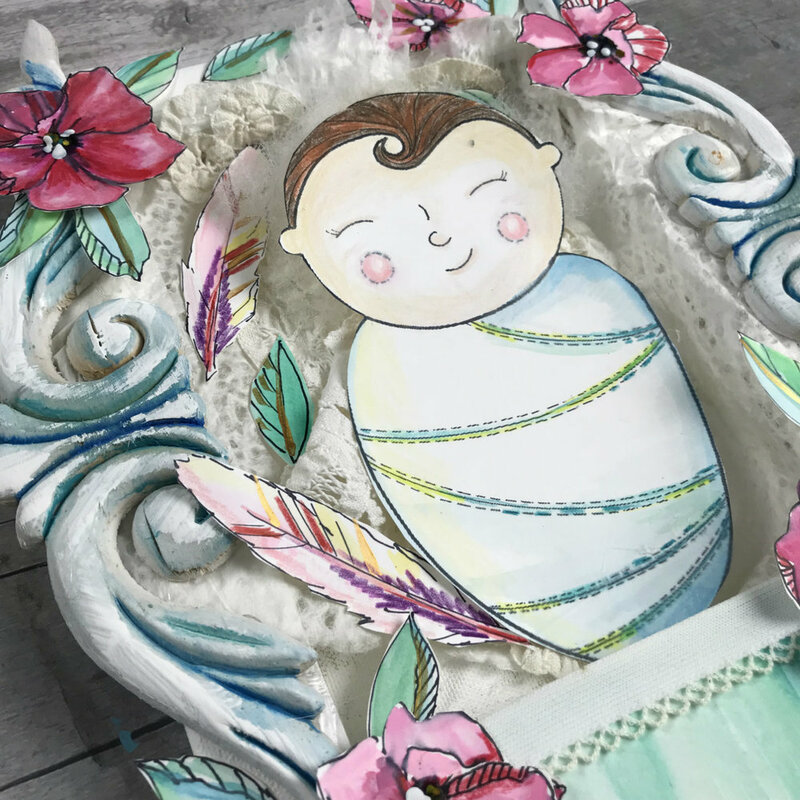 I recently had the privilege of creating a video tutorial to accompany the Activity Guide at the end of this beautiful story. In the video lesson, I show how to build a nest as a sort of nature-craft, using found materials from your yard or home. But the beauty of this art activity is it’s opportunity for creative interpretation! Your kids can build ANY kind of nest they like! Just for fun, my daughter and I decided to think outside the box and create a truly one-of-a-kind nest for the Savior! 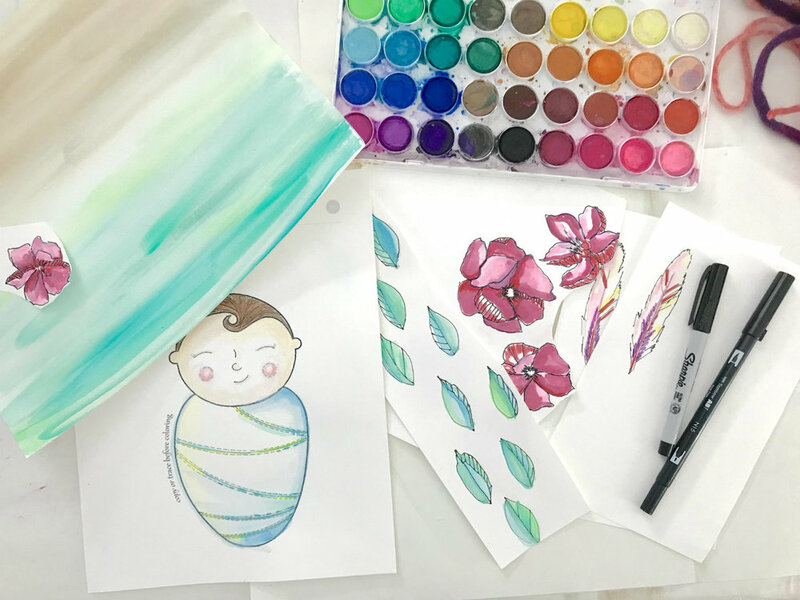 We chose to draw and paint most of our layers and searched our craft room for little odds and ends that could work for each layer of the nest. We also chose to add our layers in the order that made sense to us based on the supplies we found, rather than following the exact order as listed in the Activity Guide. 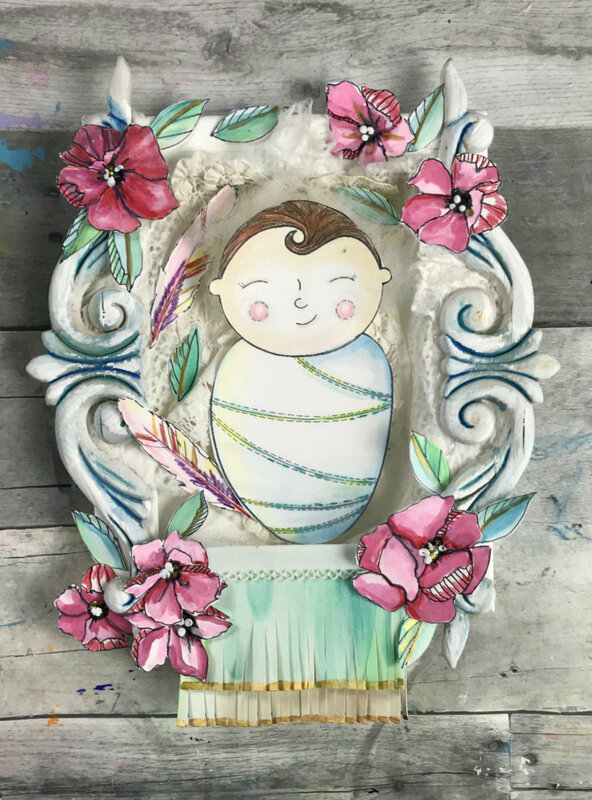 Next, while my daughter colored and cut out the Baby Jesus printable, I got to work drawing and painting the flowers, leaves, and feathers. We also used the watercolors to paint a whole sheet of paper half green and half tan. Once it was dry, we cut it into pieces to use as the grass and hay. 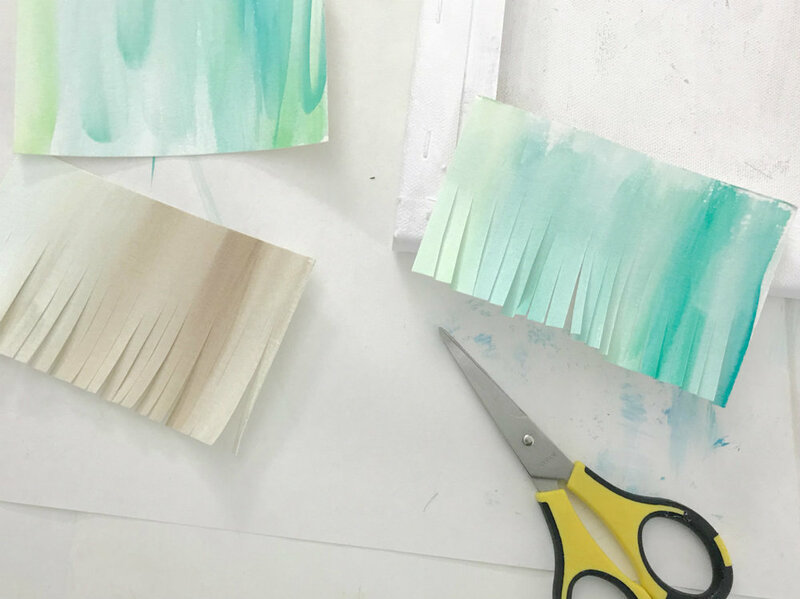 We cut slits in the pieces to create a fringed-texture. It was WAY easier to do the grass and hay this way instead of cutting the paper into tiny strips and having to glue them all down later. One piece, fringed—-instant grass! I was lucky enough to find two really beautiful pieces of wood trim to use as the “wood” layer. 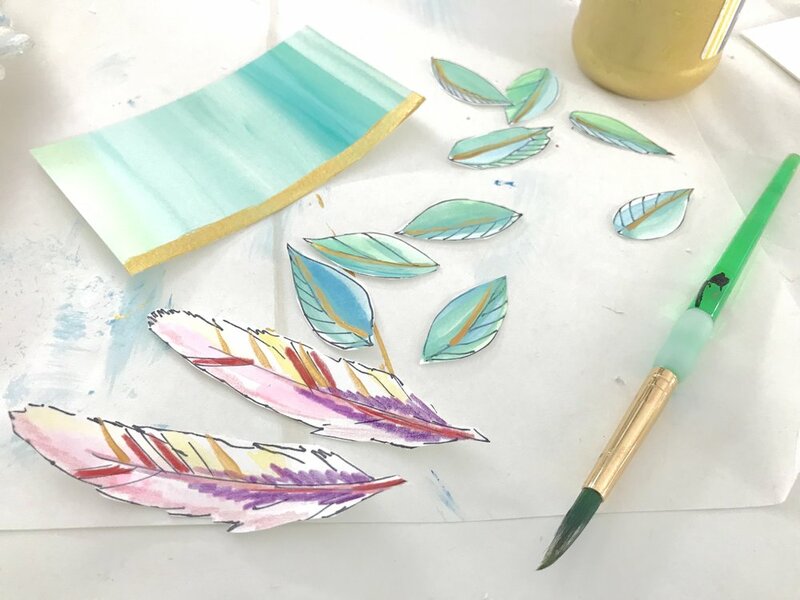 We painted a wash of color on them and hot glued them to the sides of our canvas-back. Again, look around and see what wooden treasures YOU have hanging around the house that might work for this layer. You won’t have the same things as us, but that’s what will make your nest a special and unique offering for Jesus! Next, we gathered our “wool” and “linen” and some lace to use as a cushion and pillow for Baby Jesus. 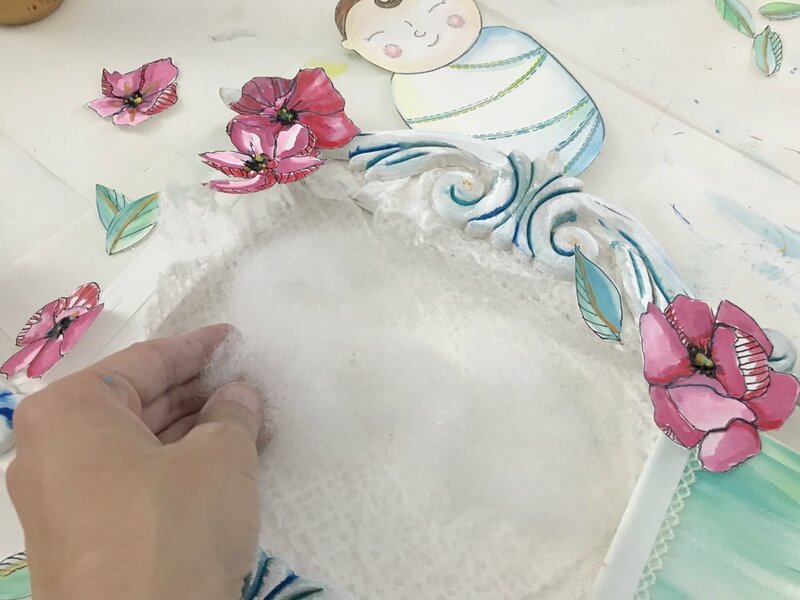 All of these softer elements were glued into the center of the canvas. We added ribbon scraps to our grass and gold paint to our drawn elements to represent Jesus as King of Kings. Finally, we cut out, arranged, and glued all of our drawn elements around the rim of the canvas. This was probably our favorite part, because it was so fun to see how everything came together! 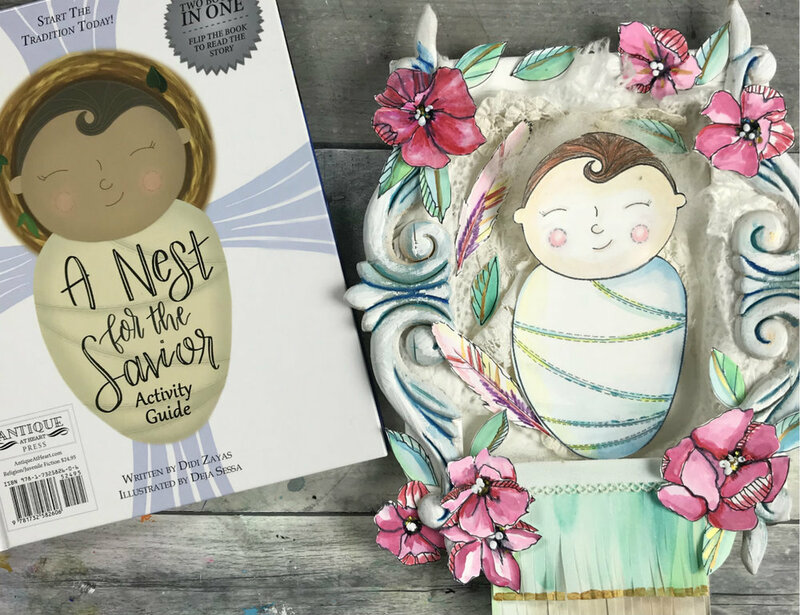 Last, and most importantly, we placed the Baby Savior in the beautiful “nest” we had made as an offering to Him! Be sure to check out the full video tutorial if you’re interested in making a more traditional nest out of natural materials! 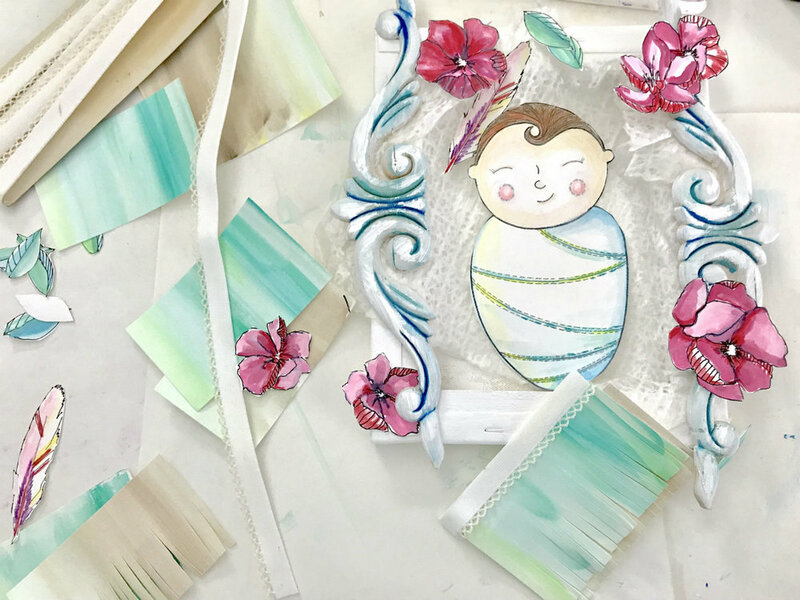 For more great video art lessons for your kids, check out the ONLINE CLASSES page!